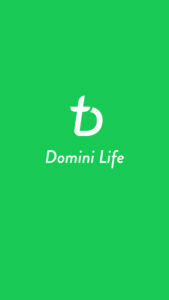 The Domini Life app is a simple and modern way for people to fully live their Christian life wherever they are. Domini Life offers visions of hope in a mobile format. The name contains a confession of faith, Domini in Latin means the “Lord’s”. What is Domini Life and for whom? To facilitate cooperation between various Christian communities, e.g. Christian organizations and churches. To break down barriers between Christian groups and organizations. Towitness of the unity of Christians. To reach out to people who are involved or interested in the activities in local churches and Christian organizations. The mobile format aims to reach especially out to the +/- 30 age group during their busy years of life with work and young children; it is often difficult to reach out to them with traditional methods. To collect various Christian media contents into one place for an easy access. To increase the ”reached” statistics of many Christian media contents. The app is modern, up to date and easy to access. It goes with people where they go. User experiences and ideas are collected in building and developing the app. For this purpose, there is a test user group. More features will be added in 2018. The national communication office of the Evangelical Lutheran Churchof Finland and leading Christian publishers are part of this project. A personal schedule of prayer. Prayer wall: leaving prayer items/topics for others to pray for, and praying for their items/topics. Strengthening one’s own and communal Christian lifestyle through small deeds. News from various Christian media sources chronologically according to the date of publishing. The app uses RSS feed to offer available news from various web sites. The informative material may be in the form text, audio and video. Topical themes are prayers in the main principle of the app. The On a Journey section offers glimpses on domestic and international mission projects. Organizations and mission agencies can gain visibility and raise funds for their work in Finland and abroad. The missionary nature of the church becomes concrete also at home. Includes photos, texts, and video and audio material. Clicking next to the Powerful Word takes you to the Bible passage where the verse comes from. 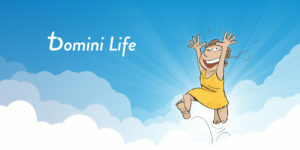 User can invite people from his/her networks and share Domini Life contents. 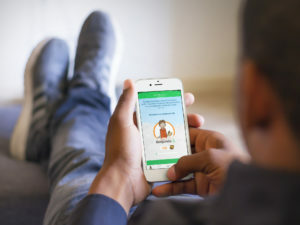 The app encourages users to fully practice their Christian life. The app includes a game element, through collecting ”points” available from various activities. Certain numbers of points are connected to specific Biblical characters described in the app. The first version includes 12 characters: Balaam’s donkey, Benjamin, Shadrach, centurion, Hannah, Cananite woman, young David, Mary Magdalene, tax collector, wise bridesmaid, faithful servant, a small child. The characters will further developed so that they will include items of the armor of God based on Ephesians 6. Representation from cooperating entities: Office for Global Mission (the Evangelical Lutheran Church of Finland), TP-Fons Company, The Finnish Mission Council’s Young Adults Missions Promotion working group. Technical realization by Valu Digital Company. Domini Life was launched at the big national Christian event, “Christ Day”, in Turku, Finland, on December 2, 2017. Project management: Media Mission the Messengers (Sansa), and Logos Ministries of Finland (KRS). Enquiries: Ms. Mervi Viuhko, Head of Networking Services, Sansa, mervi.viuhko@sansa.fi, tel. +358 50 551 6180.